As symphonic wind orchestra, Harmonie St. Aemiliaan performed for decades in the superior division. In 1986 it became, in this division, ‘national champion’ by conductor Pieter Janssen. Due to the accomplishments over the years, this orchestra was already permitted to participate in the highest division of the wind orchestra’s contest, which is called the concert division. However, they passed on to do so only since 2005. 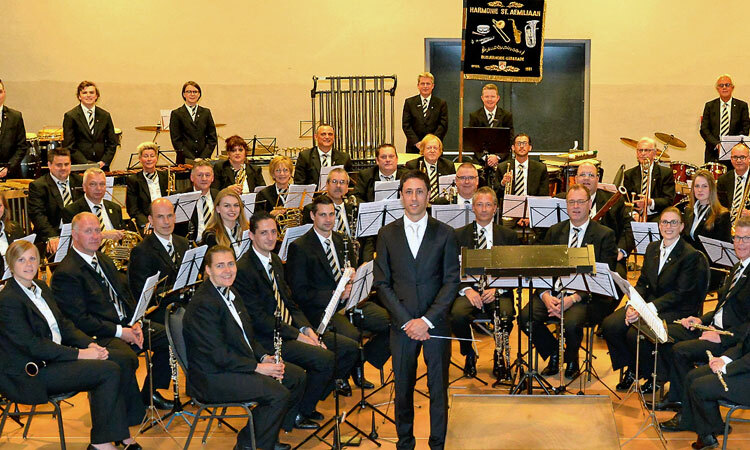 In the concert division, Harmonie St. Aemiliaan conducted by Josef Suilen became in the city of Roermond ‘national champion’ in October 2005. 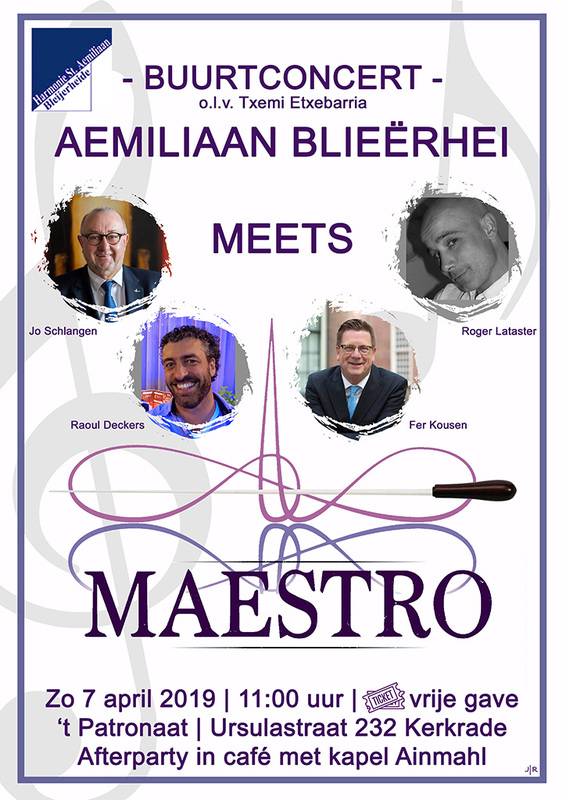 After 22 years collaboration with conductor Josef Suilen, Dirk de Caluwe started at Sunday, June 27th 2010 as conductor of Harmonie St. Aemiliaan. De Caluwe, living in and coming from the village of Lokeren (BE), is 54 years old. As musician/conductor, he has an impressive resume. He studied at the conservatorium of the cities of Gent, Brussels and Antwerp, at which he graduated with honours in the disciplines of flute, chamber music, and conducting. His experience as musician and conductor with professional and amateur orchestras is enormous. More information about this conductor can be found at the section: “harmonieorkest-dirigent” on this site. Jo Mijnes was six years president of Harmonie St. Aemiliaan and became honorary president in April 2010 when he was succeeded by André Coumans. Harmonie St. Aemiliaan is very grateful because of the active willingness of Coumans to take this responsibility. More information about this well-known citizen of Kerkrade can be found on this site. Additionally, Harmonie St. Aemiliaan is one of the founding fathers of the World Music Contest (WMC) in the city of Kerkrade. This contest is globally well-known as the most important and largest festival/contest for philharmonic wind orchestras, bands and brass bands in the world. Concluding, Harmonie St. Aemiliaan has around 80 musicians, 40 young musicians, and 10 members of the drum band. During the last century, Harmonie St. Aemiliaan did a lot of foreign concert tours. The executive board, the commission of financial donors, the Ladies Committee, and other working groups are the indispensable supportive entities of this music organization. Next to, governance, finance and coordination, cohesion and friendship are fundamental in a social organization as Harmonie St. Aemiliaan.